Forum Home > VW Trikes > HS4,5 & 6 Wiring Diagram. Hi, for those of us that have a HS4, 5 or 6 (VW) before 2006 and are looking for a wiring diagram, then don’t bother looking in the HS parts manual. All you will find is a connection diagram. Not a lot of help if you have a fault. So where did I find the wiring diagram you ask. Download the FX5 2007 onwards (VW) manual & at the back of the parts manual you will find the wiring diagram for the HS4, 5 & 6. Pre 06. wiring diagrams. Pages 68 onwards. Nice place to put it Rewaco.! Now does anyone know of any decent alloy wheels for a HS5? 10 x 15, ET-37, PCD 4X130. I like the look of the “TurboVec” style, but can’t find any or any one making them any more. 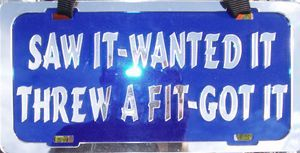 I don’t want “Compomotive” 3 piece as any one can get them. :)Hi Everyone, It looks like Rewaco have removed the wiring diagrams from there parts listings. I've just checked & the PDF file & all the diagrams have been removed. 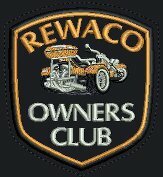 Well Done Rewaco !! There was 78 pages in the FX5, but only 63 now. It may be that they have updated the manual? & thought no one wants the info. I dont know. But one thing I do know is that they dont like giving out info. I'm suprised we even get the parts manuals. Now lets see if the diagrams turns up in the future.